Austenitic Stainless Steel Nitronic 50 Hexagon Bars, XM-19 Stainless Steel Welding Rod, Fermonic 50 Square Bar, DIN 1.3964 Hex Rods Dealers in India, UNS S20910 Polished Bars Stockists, UNS S20910 Nitronic® 50 Forged Round Bars Distributors in Mumbai. Renine Metalloys is a renowned trader and distributor of NITRONIC 50 (XM-19, UNS S20910) Round Bars, which is a high strength and good corrosion resistant austenitic stainless steel. Our NITRONIC 50 Round Bars provides a combination of corrosion resistance and strength not found in any other commercial material available in its price range. These Alloy 50 Round Bars is an austenitic stainless steel with a blend of strength and corrosion resistance that is higher than stainless steel grades 316, 316 / 316L, 317, and 317 / 317L. Our Stainless Steel XM-19 Round Bars is also capable of nearly double the yield strength of similar austenitic grades. These XM-19 Stainless Steel Round Bars has very good mechanical properties at both elevated and sub - zero temperatures. 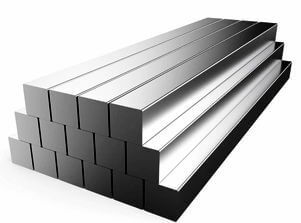 Other characteristics that set our Stainless Steel UNS S20910 Round Bars apart from other grades of stainless steel are that it does not become magnetic when severely cold worked. 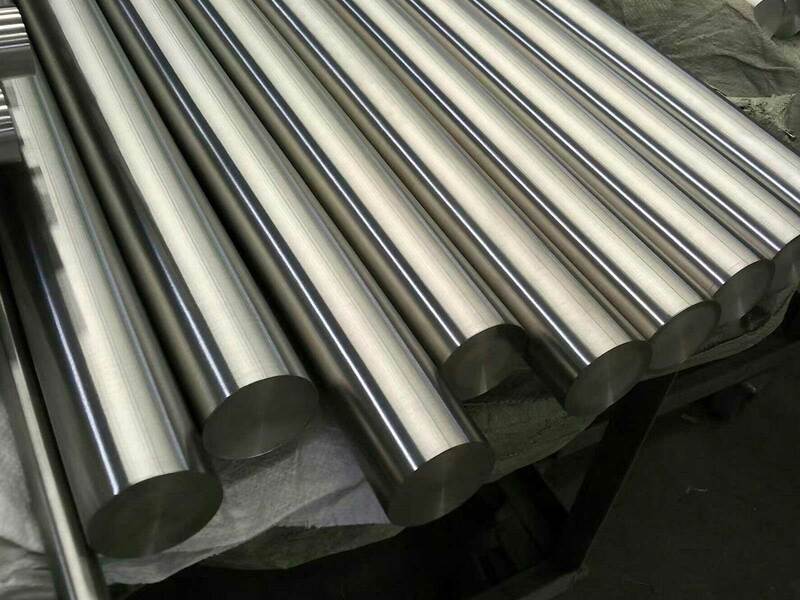 These NITRONIC 50 Rods is a high Nitrogen and Molybdenum bearing austenitic stainless steel product with corrosion resistance comparable to or surpassing 316L and 317L. Our Stainless Steel XM-19 Rods is nitrogen - strengthened austenitic stainless steel that has properties that combine excellent strength, ductility, toughness, corrosion resistance and fabricability. To be precise, these XM-19 Stainless Steel Rods has approximately double the yield strength of stainless steel 304 and 316 and has better corrosion resistance than 317L stainless steel. 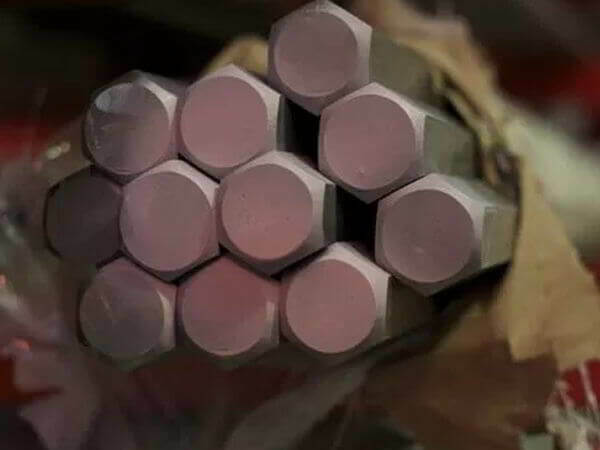 Nitronic 50 Round Bars, XM-19 Round Bar, UNS S20910 Round Bars, DIN 1.3964 Round Bar Fermonic 50 Round Bar, Austenitic stainless steel UNS S20910 Black Round Bars, ASTM A276 Nitronic® 50 Bars Traders, ASME SA276 XM-19 Steel UNS S20910 Square Bar, ASTM A479 Grade XM-19 Nitronic 50 SS hot finished hexagon Rods, ASME SA479 cold finished Nitronic 50 Hex Bars, Lowest Price Nitronic® 50 Stainless Steel bars wholesalers, UNS S20910 Cold Drawn Bars, Suppliers of DIN 1.3964 Nitronic 50 Round Bars, Exporters of Nitronic 50 Round Rods, XM-19 S20910 Bars Stockholders, XM-19 S20910 Rods Stockists, Cheap Nitronic 50 SS Forged Round Bars, Nitronic® 50 Bright Bars, Nitronic 50 Hot Rolled Round Bars Distributors in Maharashtra, UNS S20910 Half Round Rods, Nitronic 50 Flat Bars, Nitronic 50 Rectangular Bars vendors, Buy UNS S20910 Nitronic 50 Threaded Rod, Fermonic 50 Triangle Bars, Nitronic® 50 Round Profile Bars, Nitronic® 50 Polished Round Bars Stockyard, Nitronic 50 Smooth Turned Round Bars, Nitronic 50 Rough Turned Bar, Nitronic 50 Stainless steel UNS S20910 Peeled Round Bar, Nitronic 50 XM-19 Threaded Rods, Nitronic 50 Octagonal Bars, UNS S20910 Welding Rods, Nitronic 50 Bars Manufactures in Mumbai India. Dammam, Milan, Kolkata, Madrid, Gimhae-si, Vadodara, Singapore, Perth, Ranchi, Manama, Australia, Bogota, Ernakulam, Lahore, Jamshedpur, Brisbane, Haryana, Algiers, Aberdeen, Turkey, Houston, Vung Tau, Caracas, Kuwait City, Kanpur, Jaipur, Port-of-Spain, Kuala Lumpur, Abu Dhabi, Tehran, Edmonton, New York, Howrah, Thiruvananthapuram, La Victoria, Al Khobar, Chandigarh, Faridabad, Petaling Jaya, Al Jubail, Secunderabad, Mumbai, Granada, Ulsan, Mexico City, Lagos, Dallas, Ahvaz, Chennai, Nashik, Surat, Sydney, Seoul, Jeddah, Rajkot, Hyderabad, Ahmedabad, Los Angeles, Santiago, Pimpri-Chinchwad, New Delhi, Colombo, Thane, Riyadh, Navi Mumbai, Bengaluru, London, Hanoi, Indore, Doha, Ho Chi Minh City, Sharjah, Jakarta, Dubai, Karachi, Cairo, Coimbatore, Gurgaon, Istanbul, Pune, Toronto, Noida, Montreal, Bangkok, Courbevoie, Atyrau, Baroda, Nagpur, Ludhiana, Bhopal, Busan, Geoje-si, Calgary, Chiyoda, Visakhapatnam, Moscow, Hong Kong, Muscat, Rio de Janeiro. Bangladesh, Iran, Mongolia, Nepal, Israel, Costa Rica, Ghana, Thailand, Oman, New Zealand, Trinidad & Tobago,Tunisia, Poland, Italy, Finland, United States, Kuwait, Libya, Poland, brazil, Azerbaijan, Algeria, Sweden, mexico, srilanka, thailand, malaysia, Belarus, Ecuador, Zimbabwe, Qatar, Spain, Taiwan, Greece, Kazakhstan, Venezuela, Bolivia, Denmark, Russia, Croatia, Brazil, Bulgaria, Namibia, United Kingdom, Australia, Singapore, Afghanistan, Ukraine, Hong Kong, Malaysia, Tibet, Colombia, Nigeria, Estonia, Mexico, Lithuania, Nigeria, Macau, Chile, South Korea, Czech Republic, Philippines, South Africa, India, cyprus, Kenya, Peru, Sri Lanka, Belgium, Austria, Serbia, Mexico, Canada, Argentina, Romania, Lebanon, Switzerland, China, Gambia, Egypt, Netherlands, Norway, Turkey, Saudi Arabia, France, Yemen, Bahrain, Indonesia, United Arab Emirates, Hungary, Portugal, Gabon, Chile, Vietnam, Morocco, Ireland, Japan, Slovakia, Iran, Germany, Jordan, Bhutan, Puerto Rico.